Turkish side Fenerbahce are set to complete a deal for Malaga keeper Carlos Kameni, according to reports. The Cameroon keeper was one of the standout players for the Andalusian club and has gained interest from a number of European sides and Fenerbahce have now contacted Malaga over a proposed deal. 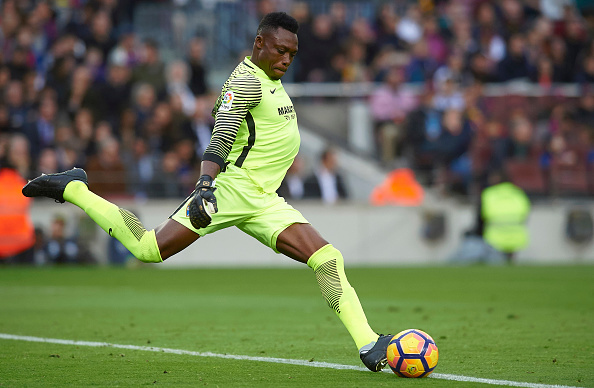 Diario AS and El Mundo Deportivo are both reporting that Kameni will fly out to Turkey this week to sign a two-year contract with the option to extend to a third. Kameni joins a list of wanted players by Fenerbahce, including former Deportivo La Coruna forward Lucas Perez, Man City’s Jesus Navas and Arsenal keeper David Ospina. Kameni who arrived in Spain in 2004 to join Espanyol joined Malaga in 2012 and has featured in over 100 appearances for the La Liga side. He has been capped no less than 71 times by the Cameroon national side.